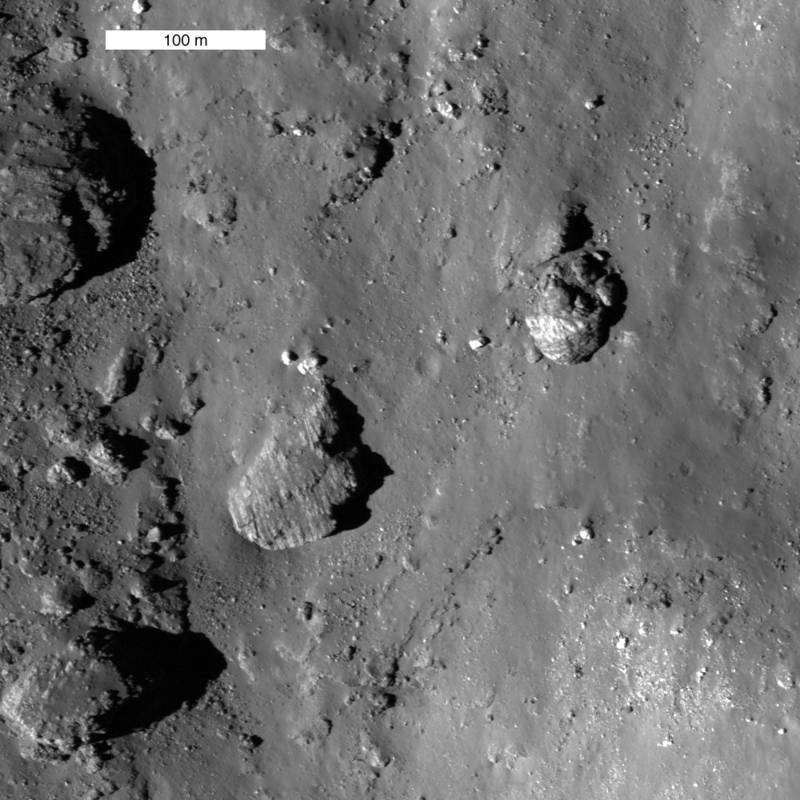 Field of striated boulders on the wall of Aristarchus crater. Uphill is towards top of image. LROC NAC image M120161915 [NASA/GSFC/Arizona State University]. This close up image of the wall of Lichtenberg crater shows distinct layering of pre-impact mare deposits. NAC frame M112040133L; scene is 530 m across [NASA/GSFC/Arizona State University]. Close-up image of the Mare Ingenii Constellation region of interest. 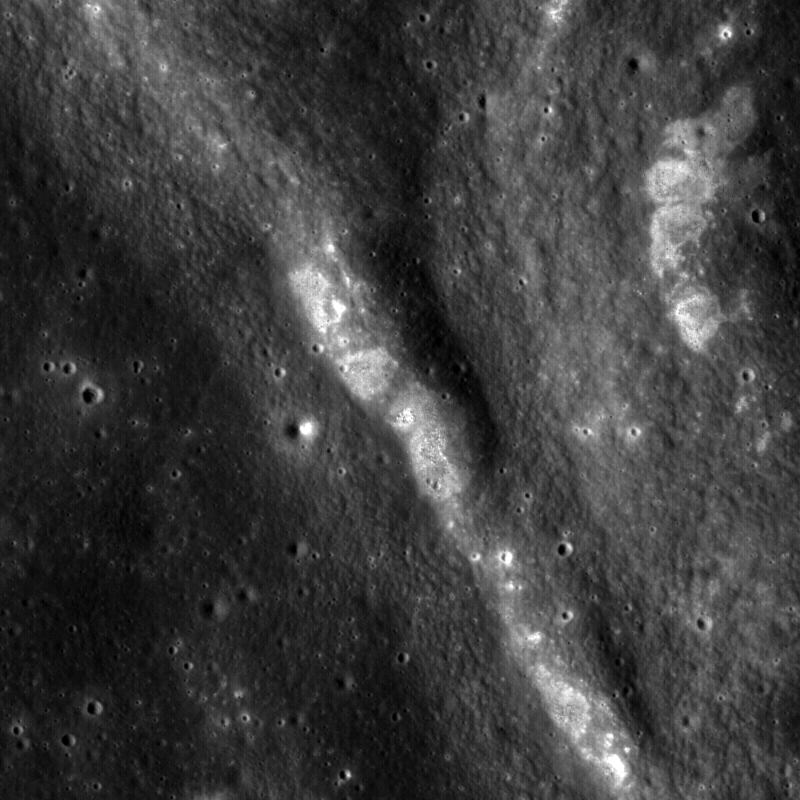 Mare Ingenii is one of the few mare basalt deposits on the farside of the Moon and it contains rare lunar swirls. Image width is 800 meters [LROC-NAC M105795162R; NASA/GSFC/Arizona State University]. 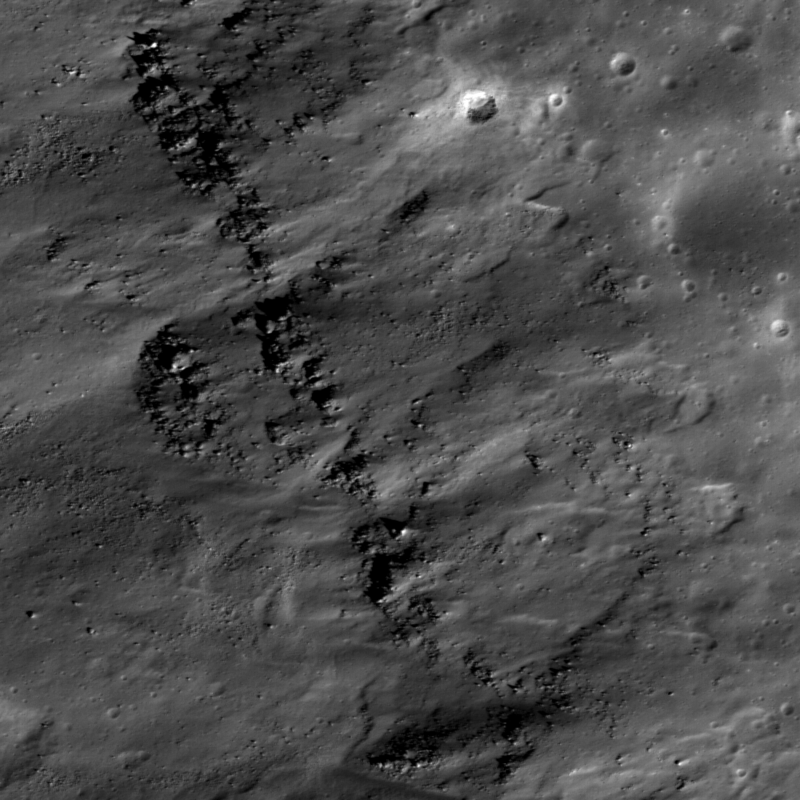 Close up of a northwest trending wrinkle ridge in the high-Ti basaltic lava plains of Mare Tranquillitatis, near a Constellation region of interest. The bright areas along the steepest parts of the ridge are places where less mature subsurface materials have been exposed by small impacts or fracturing of the bedrock as the original mare surface buckled. Image is 1.25 km wide [NASA/GSFC/Arizona State University]. 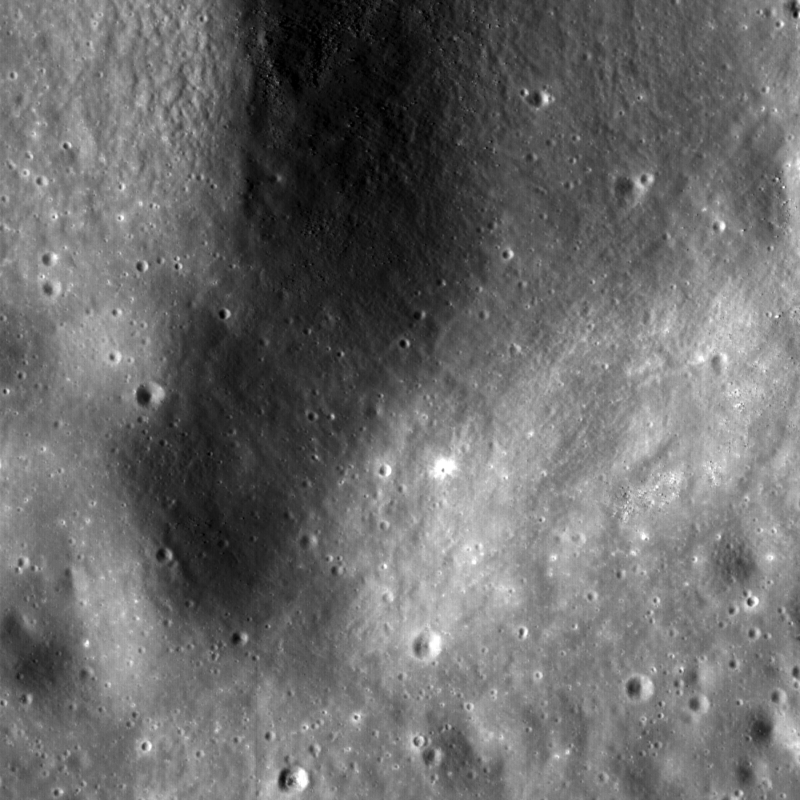 Summit crater of Hortensius Dome Phi. 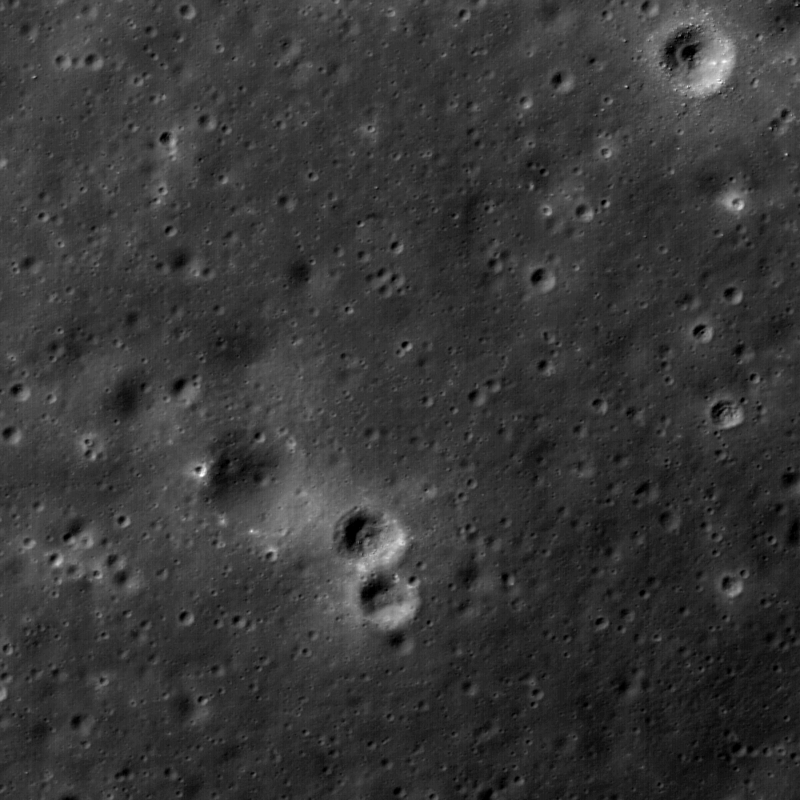 Summit craters of all the Hortensius Domes show no raised rims and are not circular, indicating they are not impact craters, rather that they are analogous to volcanic calderas. Image width 1.22 km, NAC image M104691278R [NASA/GSFC/Arizona State University].